We provide a wide range of CNC components that are dimensionally accurate, durable and can easily fit in different assembling operations. Manufactured using the latest technology, the gamut of CNC components offered by us is at par with international standards. 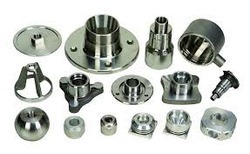 We offer our customers a wide range of CNC components that are manufactured using high quality ferrous & non-ferrous are used for diverse industrial and engineering applications. 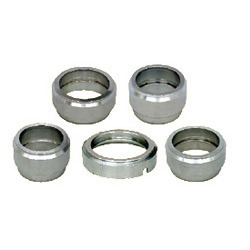 Available at competitive prices, these CNC components are high on performance and durability. 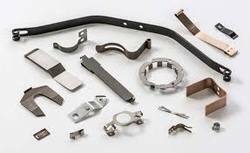 Our clients can avail from us an assortment of CNC turned components that are precision engineered and find wide application in the automobile industry. 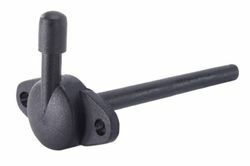 Reckoned across the globe for their smooth performance and durability, the range of CNC turned components offered by us is manufactured at par with the industry standard. 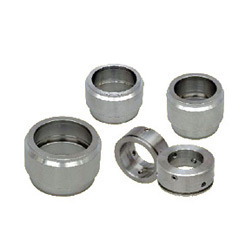 We have with us well established CNC Machined Components that is equipped with precision machining, milling and turning equipment which ably supports all involved in-process demands. 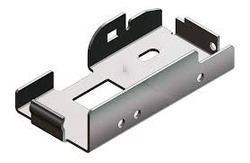 We are engaged in manufacturing Sheet Metal Parts and exporting of such as precision engineering sheet metal parts, engineering Sheet Metal Parts parts, consumer electronics parts, deep drawn parts, electrical stampings & lamination and electrical switchgear Sheet Metal Parts parts. We provide our customers with a wide gamut of precision engineered copper spuds that are applicable in diverse industries and are high on durability and performance. 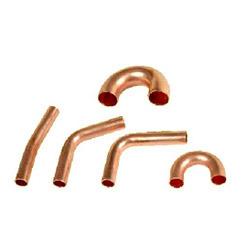 Manufactured using high quality copper, these copper spuds can be availed from us in bulk quantities.